TriMet’s fiscal year 2020 proposed budget puts the agency on the road to improving service and adding more of it, tackling important improvement projects and regional transit investments, and enhancing safety while increasing code enforcement. This will be fueled, in part, by the first full year of funding from Keep Oregon Moving, the first dedicated statewide funding for transit championed by Gov. Kate Brown and the 2017 Legislature. From that, we expect to receive about $40-50 million in funding each year. The agency’s proposed day-to-day operating budget for FY 2020 is $684.2 million, about $24 million less as the agency closes out the MAX Orange Line project. The proposed budget does not call for an increase in adult fare for the seventh year in a row. The proposed FY 2020 budget includes an increase of $5.1 million for added service, most of that on bus routes as the overall total of bus service hours is expected to increase by 2.2 percent. Upgrade Line 20-Burnside/Stark and Line 76-Beaverton/Tualatin to Frequent Service, with buses arriving every 15 minutes or better most of the day, every day. Add Sunday service on Line 30-Estacada and Line 32-Oatfield. Add more trips in the morning, afternoon and late night, as well as run buses on Saturdays and Sundays on Line 74-162nd Ave. Adjust the routes of Line 19-Woodstock/Glisan and Line 70-12th/NE 33rd Ave to improve reliability. We’re planning to add five more all-electric buses in the coming year to the five ones just beginning to roll into service. We will also replace 46 buses. To accommodate the increase in bus service, TriMet is continuing the renovation of our Powell Operations Facility and developing plans for our new, fourth bus facility on northeast Columbia Boulevard. 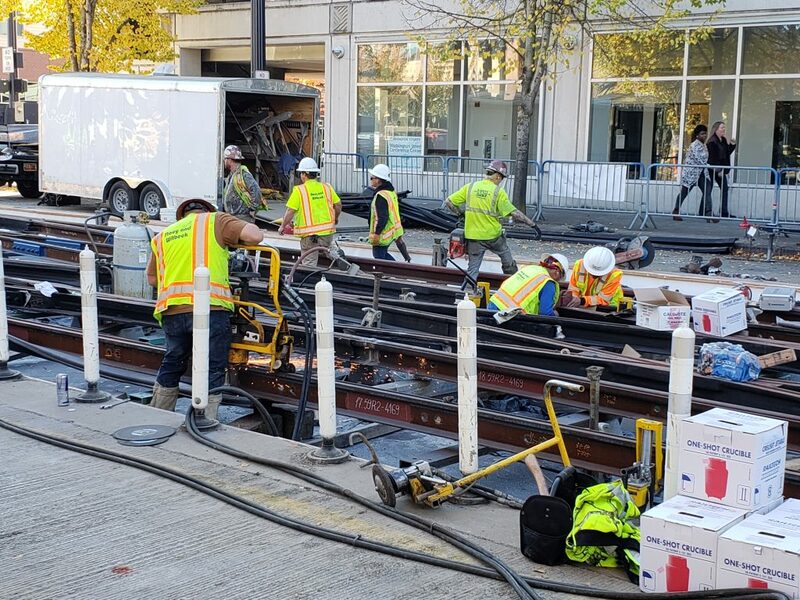 Work continues as TriMet reinvests in the MAX system, improving tracks and switches in the Rose Quarter, northeast Portland’s Lloyd neighborhood and Gresham in the coming year. Planning will also take place for major improvements to the tracks across the Steel Bridge next year to increase the reliability of the MAX system. The proposed FY 2020 budget includes major overhauls of light rail vehicles as part of a 7-year, $105.5 million project as well as continued design work and the initial construction of the next generation of light rail vehicles, expected to begin rolling in service in 2021. TriMet’s Safety & Security budget increases by $4.7 million to $29.4 million for FY 2020 as more contracted security officers are brought on to provide security presence for customers and employees. We’re also planning to expand our fare inspectors’ ranks, with 8 added positions. This means more people on the system checking fares and enforcing the TriMet Code. TriMet leads regional investments to connect more people to transit. Our proposed budget moves forward the Southwest Corridor Light Rail Project, the extension of the MAX Red Line into Hillsboro and the Division Transit Project, which is expected to begin construction in late 2019. FY 2020 continues the rollout of the Hop Fastpass® electronic fare system, as we enhance equity for all riders with daily and monthly fare-capping. 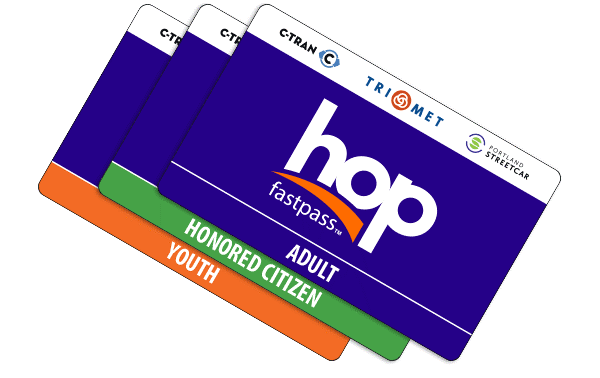 With that transition, TriMet will eliminate most non-Hop paper tickets and tickets in the TriMet Tickets mobile app that do not allow the same benefits Hop can. Also, efforts continue to sign up more people for the Honored Citizen reduced fare program based on their income level. TriMet underwent a reorganization in late 2018, to streamline internal functions, better utilize and align our workforce, strengthen and develop our internal teams, enhance our efficiency, modernize the agency’s efforts and, ultimately, better serve our customers and the region. This involved moving some work groups to other divisions. The proposed budget includes a non-union merit increase of up to 3 percent as well as a pool of 0.75 percent to address pay equity issues. It also includes the effect of the 3 s union wage increases in the current Working and Wage Agreement, the third of which was in December 2018.The current contract expires in November 2019. The FY 2020 proposed budget was released to the TriMet Board of Directors on Thursday, April 11, 2019. A formal Budget Committee Public Hearing and Budget Approval will be held on April 24. TriMet will then submit the FY 2020 approved budget to the Tax Supervising & Conservation Commission (TSCC) in advance of the TSCC Public Hearing on May 15. The TriMet Board of Directors is then scheduled to adopt the budget on Wednesday, June 26, 2019. The FY 2020 budget takes effect on July 1, 2019 and runs through June 30, 2020.
and provide feedback through May 3. 121 SW Salmon St., Portland, OR 97204.